Home · Property Management · Landlord Quick Tips : Are Tenants Or Landlords Responsible For Maintenance? Are Tenants Or Landlords Responsible For Maintenance? Who is responsible for rental property maintenance, the landlord or the tenant? While there are landlord maintenance obligations under state law, tenants also have maintenance responsibilities. Discover what landlords and tenants each must do to keep a rental looking its best, below. Landlords are responsible for maintaining “habitable” rental properties. This means keeping the major systems of the rental unit — heat, water, electricity, general cleanliness and sound structure — in good working order. The habitable requirement applies to common areas of an apartment complex as well as rental units. 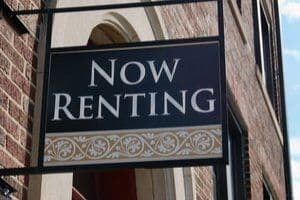 State and city codes define the specific requirements landlords must follow when renting apartments. If there’s a question regarding what a landlord’s responsibilities are, look to these codes to provide exact information for landlords. If something goes wrong, landlords are expected to resolve the problem in a timely repair. As long as landlords attempt a timely fix, tenants should be understanding. Maintenance personnel are not always available on short-term notice, so delays may be unavoidable. If landlords fail to make repairs that were requested, tenants can legally withhold money from the rent until the problem is fixed. Tenants can also hire someone to repair the issue, then deduct the repair cost from their next rent payment and provide the landlord with a receipt for the repairs. If a landlord delays a repair that is subject to state or city codes, tenants can seek redress through local authorities. This could lead to an inspection, which may result in fines being levied on the landlord or an order to make the repair immediately. Landlords must give notice when they need to enter a rental property. Generally, 24 hours’ notice is acceptable. In emergency cases — for instance, if there’s a broken pipe — landlords can enter without giving notice. Other than keeping major systems in working order and responding quickly to repairs, landlords must either perform exterior maintenance or specify within the lease that tenants are responsible for exterior maintenance. Under law, tenants are responsible to repair or replace anything they broke. Examples include broken windows or holes in the wall. If tenants spot signs of damage or pests in the unit — anything from water damage to rodents — they must inform the landlord, so the landlord can mitigate the problem. A simple phone call or email to the landlord can suffice for timely notification of these issues. Throughout the rental term, tenants must keep the unit in a clean, habitable condition. Tenants must dispose of trash and keep the exterior of the unit tidy. When moving out, tenants must return the property to move-in ready condition. Rental property maintenance laws vary by state; some states provide few legal obligations for landlord maintenance while other states require landlords to do more. The lease will specify who is in charge of landscaping and snow removal. Landlords may take care of these duties, especially for large complexes. Or, landlords may mandate that tenants shovel the snow or mow the lawn. To stay up to date with landlord requirements and get advice on how to best manage your rental property, consider becoming an American Apartment Owners Association member. Member benefits include discounted landlord-tenant forms, tenant screening services, educational webinars on property management or landlord responsibilities, and discounts on goods and services. Join AAOA today to find success as a landlord.